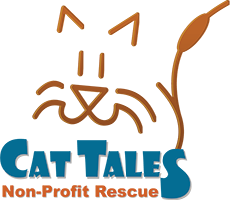 Cat Tales helps homeless, abused, and abandoned cats and kittens find responsible owners in permanent, loving homes. We are looking for people who truly care about these cats, not just as property, but also as friends who will become parts of their adoptive families. Our priority is to make sure that the cats will never again need to be rescued. In order to accomplish this goal, we ask all potential adopters to complete a detailed application and make a tax-deductable donation before taking the cat home. We do everything possible to make sure that each animal placed finds an ideal home and a safe future once released from our care. Adopting shelter cats makes room for others to be saved. 1. Your curtains will remain unclimbed, your shower curtains safe from being scaled, and your legs free from claw marks as the kitten tries to skitter up! Kittens have unbounded energy, and sometimes that energy is expended in unfortunate ways. Cats have already been through all that, so they can be playful without being wild. 2. You want a lap cat? One who will play with you? A cat who will be talkative? With a kitten, you can’t tell if they will have those characteristics. With a cat, there are no surprises, because their personality is known. 3. If you already have an adult cat companion and are looking for a new addition, a cat is a much better choice. A kitten can be irritating to a grown cat, instead of becoming friends as you hoped. 4. Kittens and children under the age of five can be a recipe for disaster. Either the small child may end up scratched and disliking cats for life, or the kitten may be accidentally injured by the child. A cat has the ability to get away from the child without scratching and is much less likely to be injured. 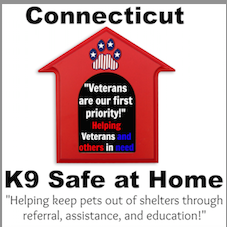 This allows your child to develop a loving relationship with your pet. 5. Adult cats require much less hands-on work. They already know how to use the litter box, to keep themselves groomed and to use the scratching post. Kittens are a work in progress, requiring your time and energy to teach them proper behavior. 6. Kittens are likely to keep you up all night wanting to play, by attacking your feet in bed, running around the house like it’s a motor speedway and making pit stops to demand you play with them in the middle of the night. Cats are content to sleep when you do, and to be awake when you are ready to spend time with them. 7. Want a nice, quiet evening at home? Not if you have a kitten! They need lots of interaction, including you throwing mice or wielding the laser pointer for them to chase. Cats are willing to curl up with you and watch a movie, keeping your lap warm and cozy. 8. Cats know the litter box is not a playground. They also know not to roll around in, not to eat what’s there, and not a place to play with their… productions. Cats keep it clean; kittens just want to have fun! 9. If you only want one companion, a cat is the way to go. Kittens need too much socialization to get along by themselves. They need to run, play and wrestle with a companion. An adult cat will sleep while you are away and be ready to greet you when you come in the door for some loving or some play time, your choice. 10. The most important reason to adopt an adult cat is that they deserve it. They are sweet, wonderful cats who want a good, loving home of their own desperately, but they watch the forever parents go right by them to the cute kittens. Adult cats have a history, where through no fault of their own, their previous owners met unfortunate circumstances and could not keep them, or perhaps they were unlucky enough to be owned by unkind people who didn’t understand cats and dumped them. In some cases, they have never even known a true home of their own. Be a hero. Give them that forever home; they promise to appreciate it.